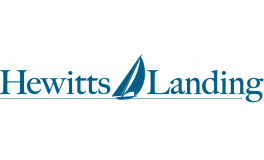 Hewitts Landing is an upscale residential condominium with meticulous landscaping and pristine coastal views. The variety of exterior designs offer several different styles of two and three-story townhomes including HMS Whitaker, USS Buckley, HMS Stayner and HMS Halsted. This beautiful community of 150 condominium homes sits on 28 acres of land in the adjacent waterfront Hingham Shipyard. Beautiful scenic vistas and several recreational opportunities are yours to enjoy. This is the perfect spot for the true ocean lover with beautiful sunrises and sunsets. It’s all here...shopping, a 500-slip marina, movies and restaurants. You’ll just love the commute into the city – a relaxing ride across the water via the nearby MBTA commuter boat. We designed your home from the start to set a new ideal in condo community living. Domestic pets are permitted in units provided there are no more than two dogs and two cats. Maximum size of any dog shall not stand higher than 24 inches at the shoulders. No vicious or aggressive breeds as determined by the Board. No visiting pets allowed. All pets shall be licensed and inoculated as required by law. Pets must be carried or on a leash. Owners must clean up their pet's droppings in all areas. Pets should be registered with the Management Office.